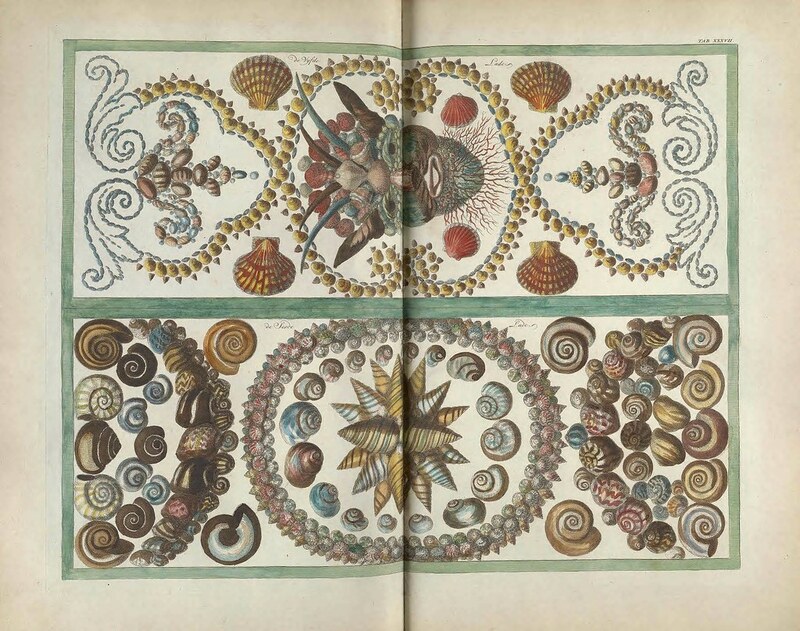 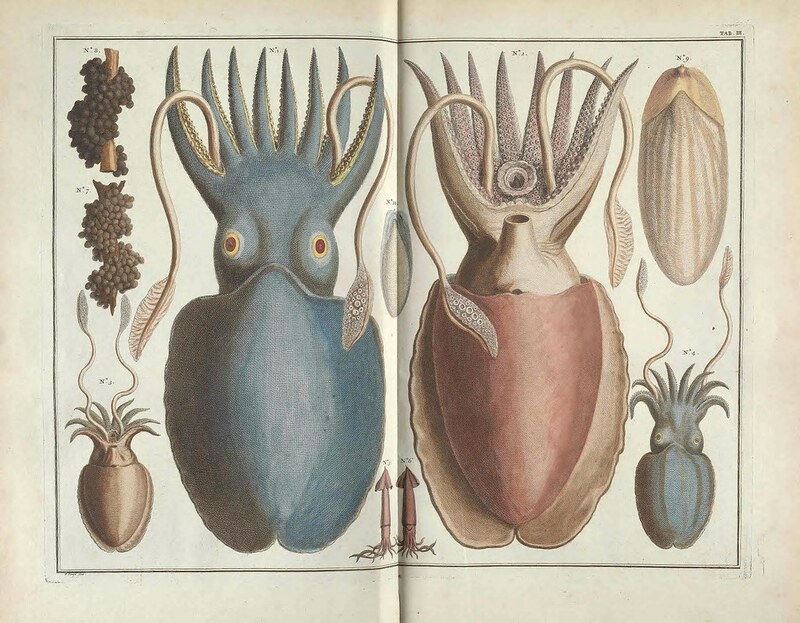 The Dutch pharmacist and collector Albertus Seba (1665-1736) was an ardent collector of plants, insects, and animals, amassing a collection which in 1716 was bought by Peter the Great. 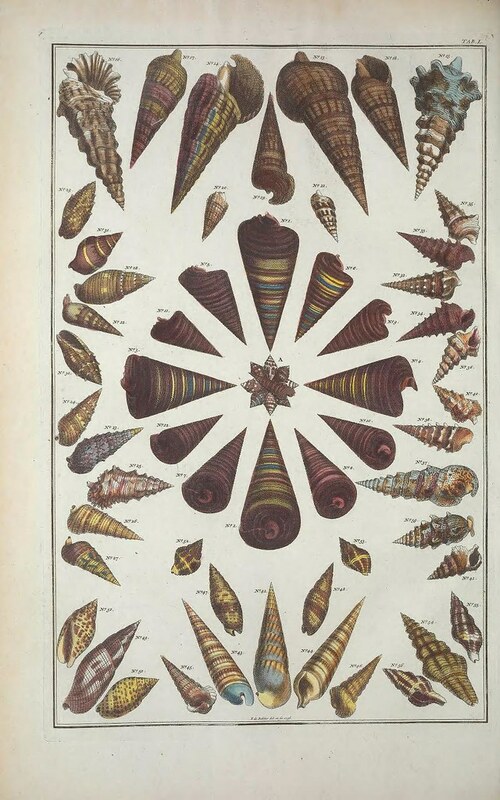 Together with the collection of one of Seba’s countrymen, the anatomist Frederik Ruysch, the collections formed the base for the Kunstkammer in St Petersburg, the first museum in Russia. 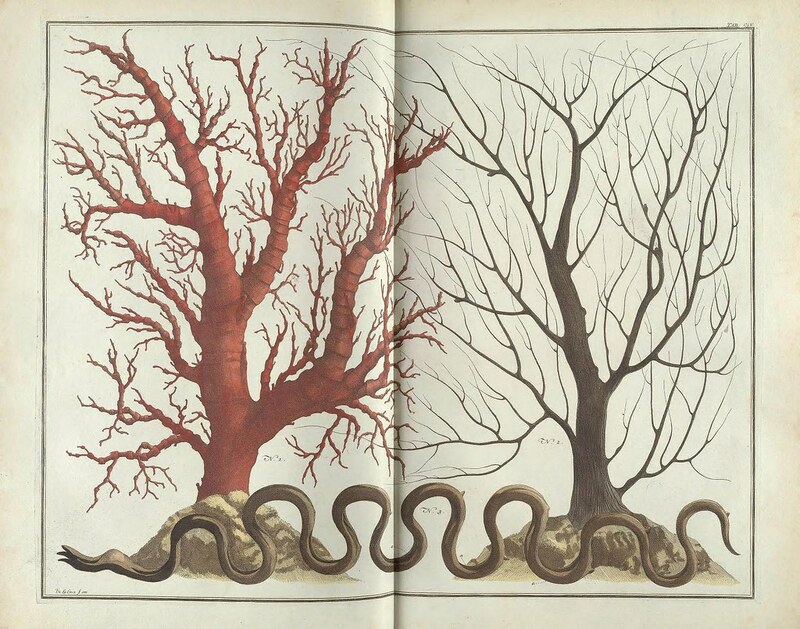 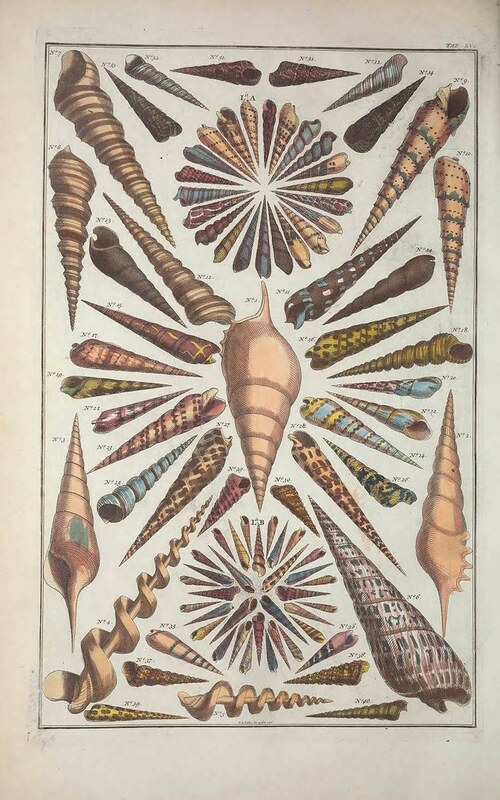 In 1734, Seba published his Thesaurus, titled Locupletissimi rerum naturalium thesauri accurata descriptio, translated as “Accurate description of the very rich thesaurus of the principal and rarest natural objects”, and consisted of four volumes of which two were published after Seba’s death. 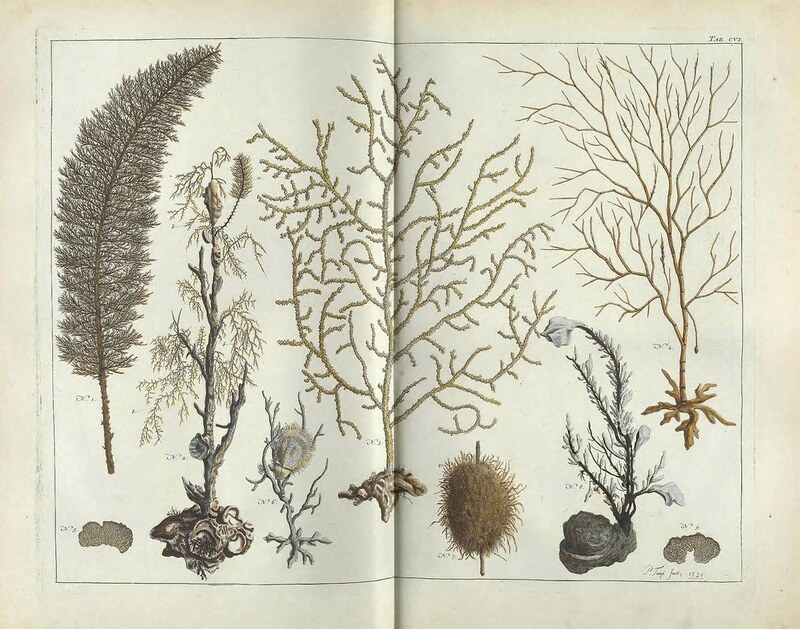 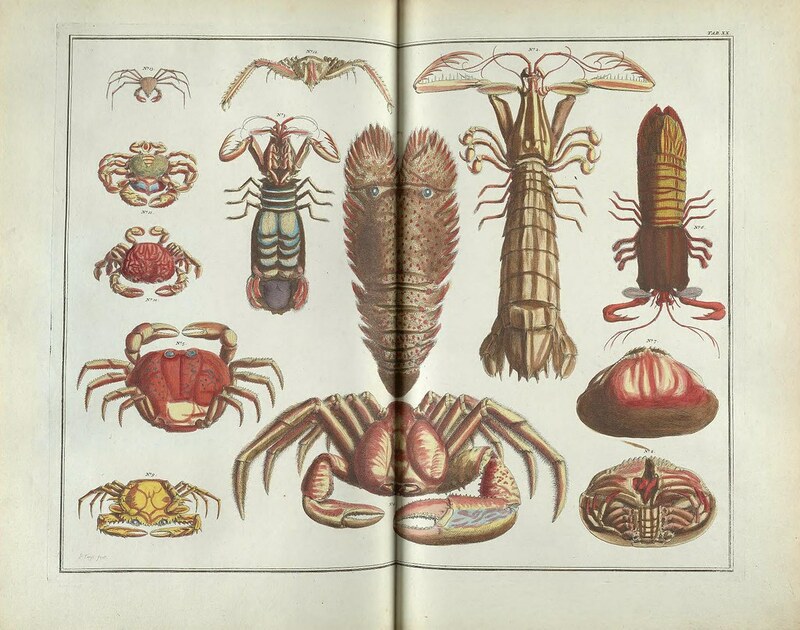 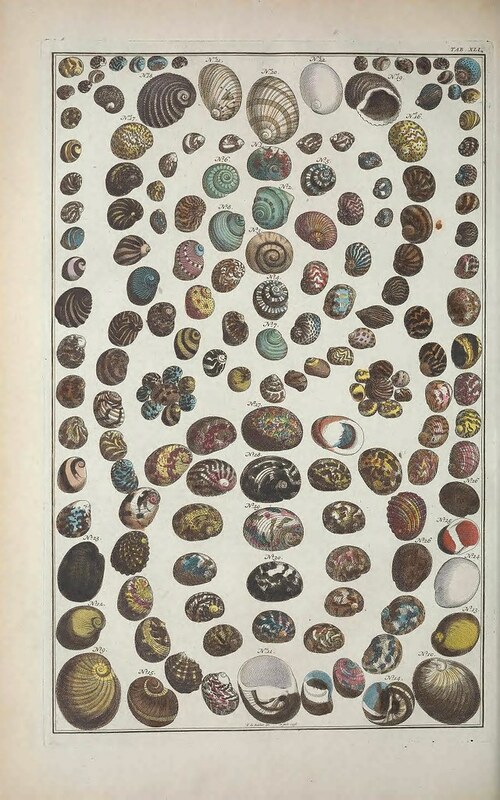 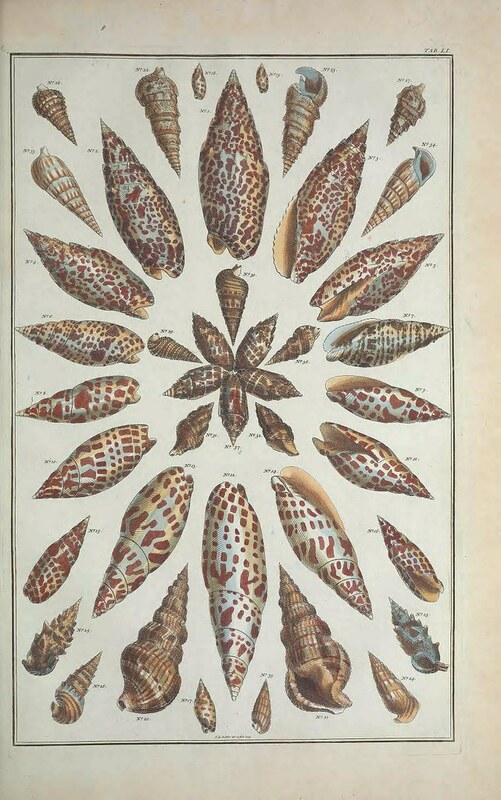 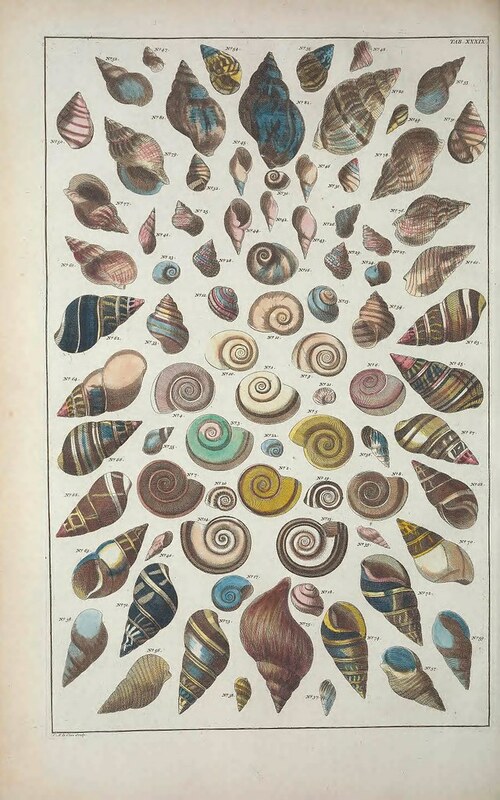 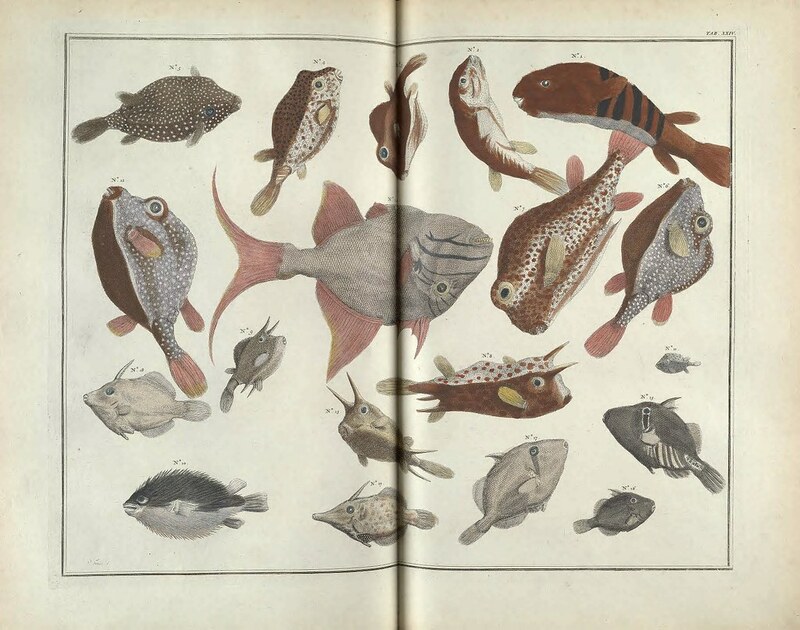 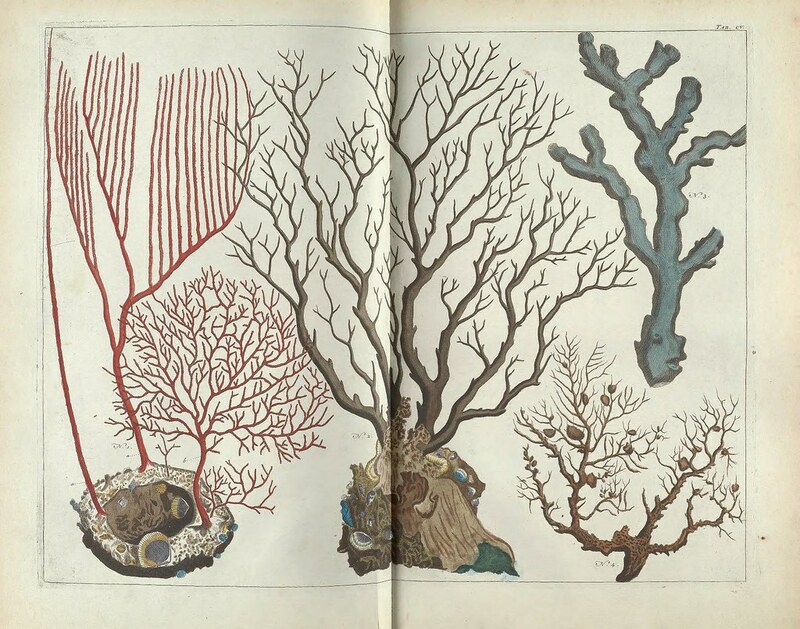 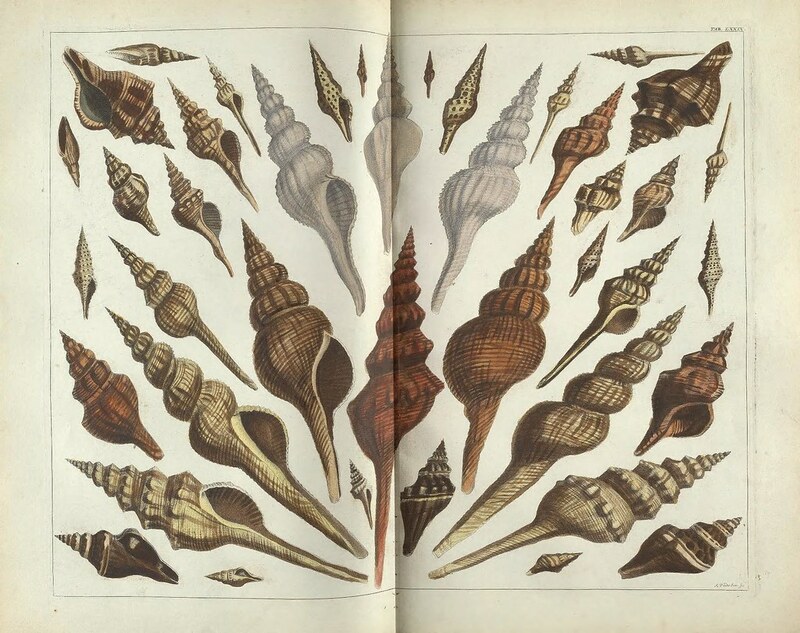 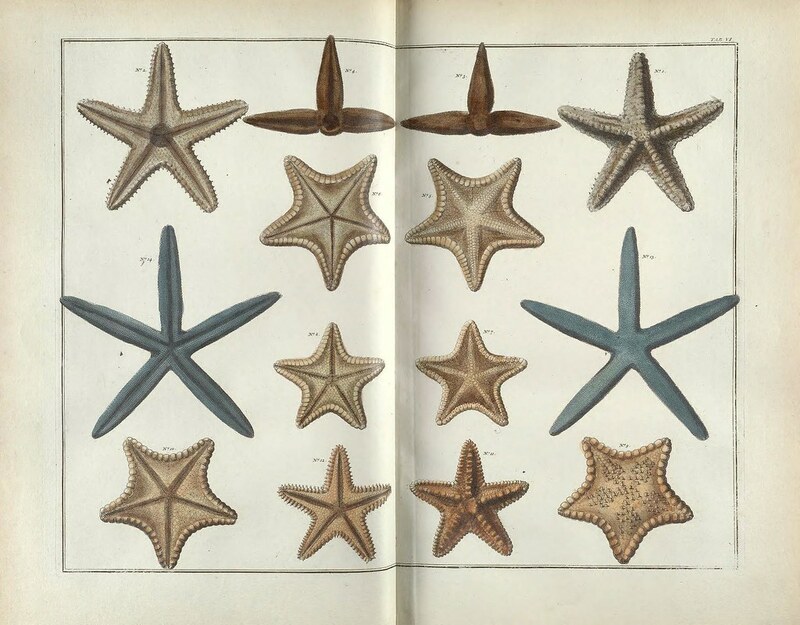 The coloured engravings found here are from the volume focused on the life of the sea, including various shells, fish, and plants. 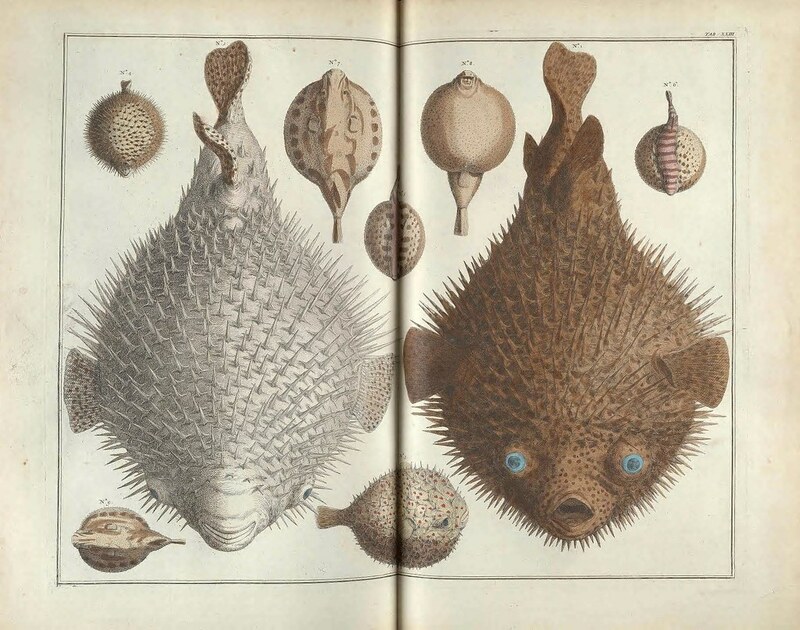 Although earlier collectors had not been too particular regarding the arrangement of their items, the late seventeenth and early eighteenth centuries saw a change in the way the collections were presented. 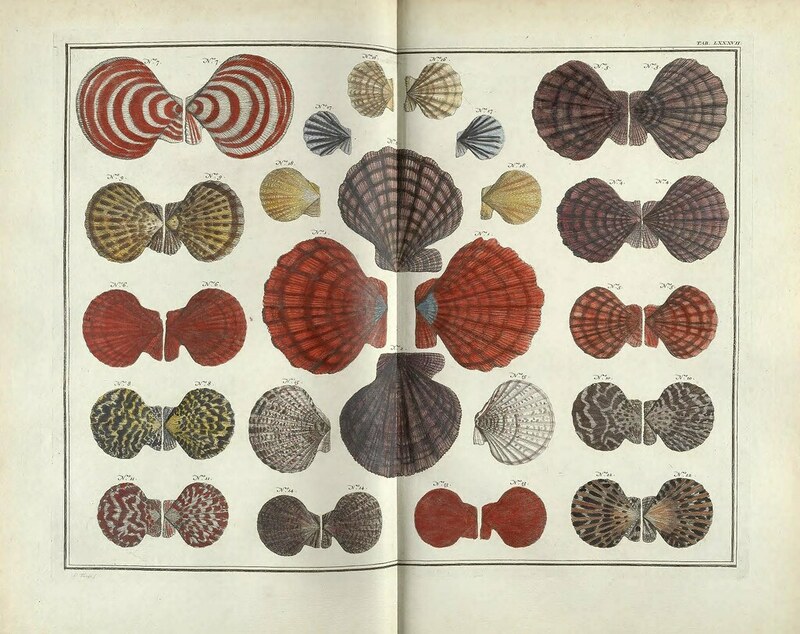 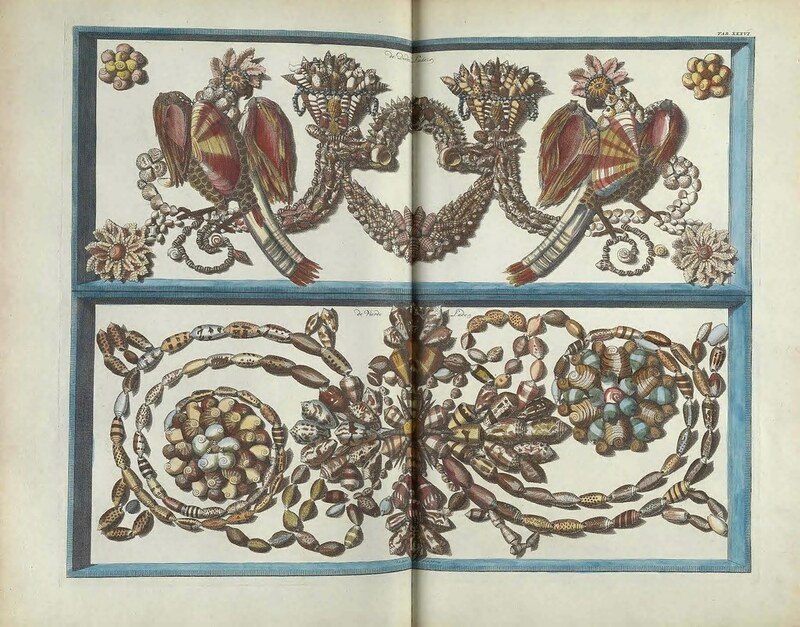 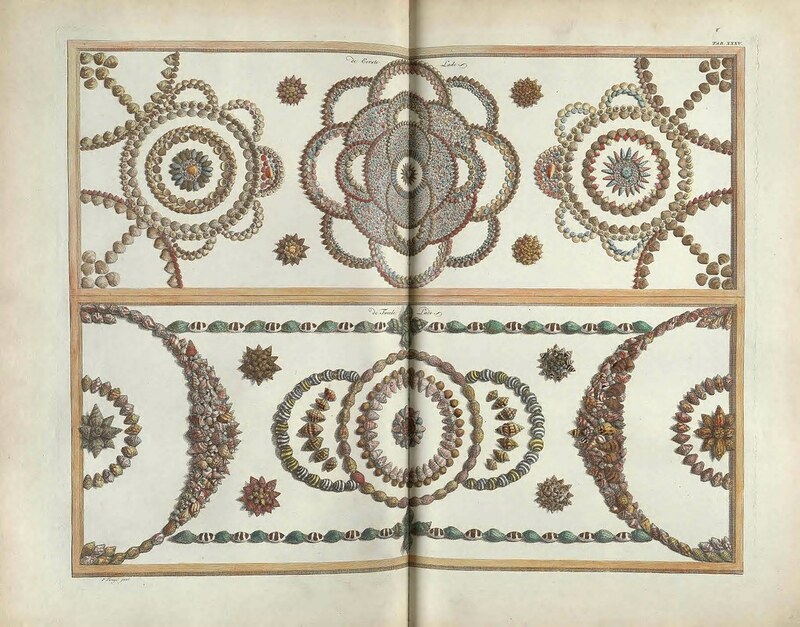 Seba, along with other collectors such as fellow Dutchman Levinus Vincent, began to order their collections in elaborate and highly decorative constructions, as is demonstrated in these plates.